Satewave Technologies (PVT) Ltd is a company that specializes in Photovoltaic (PV) solar system supply, installation and maintenance. We design and implement clean energy solutions for small scale to large scale utilities. 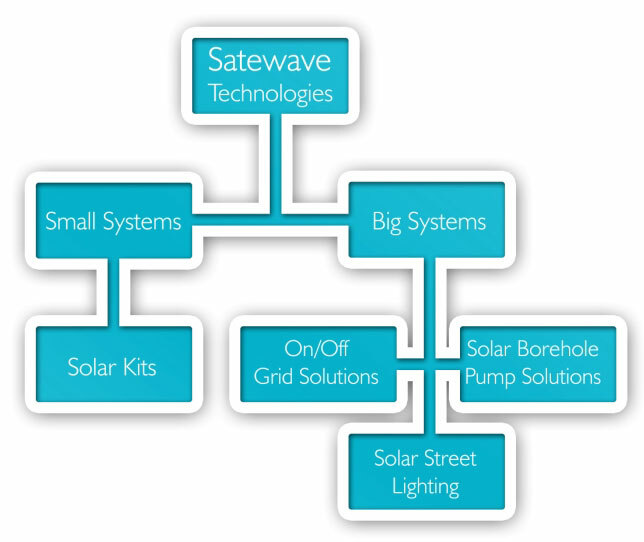 The applications for our solar technologies are endless from Utility power generation to simple household everyday use. We have included in this document the various applications for our technologies for small systems and big systems.